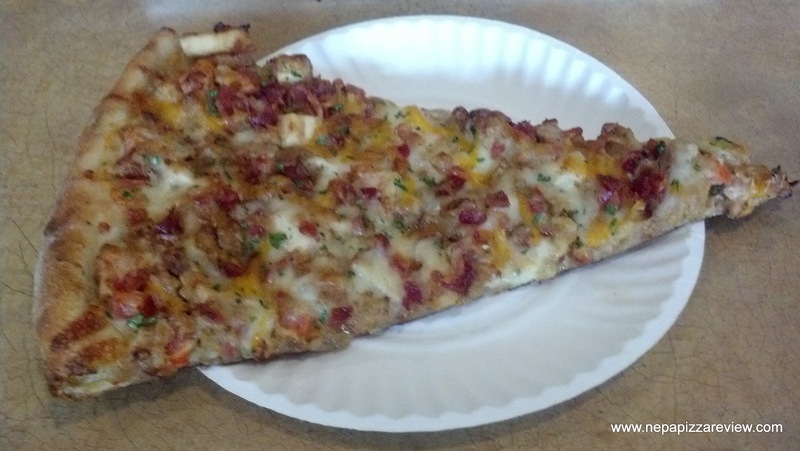 Rosario’s in Clarks Summit, which is conveniently located at the intersection of State Street and Highland Avenue, serves up fresh gourmet slices of pizza which tend to be a fast, easy, and delicious way to eat on the go. Since Rosario’s took over for the former owner, Basilico's (no affiliation), the very picturesque and elegant dining area looks similar to what it did, the slices look the same, and the menu also look the same, but it is very much under new and different management. Although there is no affiliation between the two establishments, the perception has created the need for me to compare the two. After entering the beautiful dining area armed with my Scranton Times Deal of the Day coupon, I ordered 1 neopolitan slice (I call it New York Style!) and 1 chicken ranchero slice to eat in. Both slice pies appeared to be very fresh before being reheated in the oven, so I knew I was getting the best product the pizzeria can put forward. 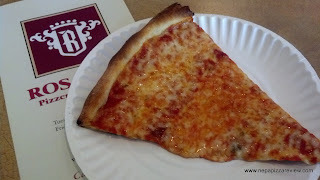 First up, I tried the New York Style (Neopolitan) slice which overall was good. The crust was tasty, the cheese was above average quality, and the sauce was relatively flavorful. The dough was stretched unevenly which caused my slice to flop lifelessly when I picked it up, which was surprising considering a slice tends to crisp up when it’s reheated in the brick oven. 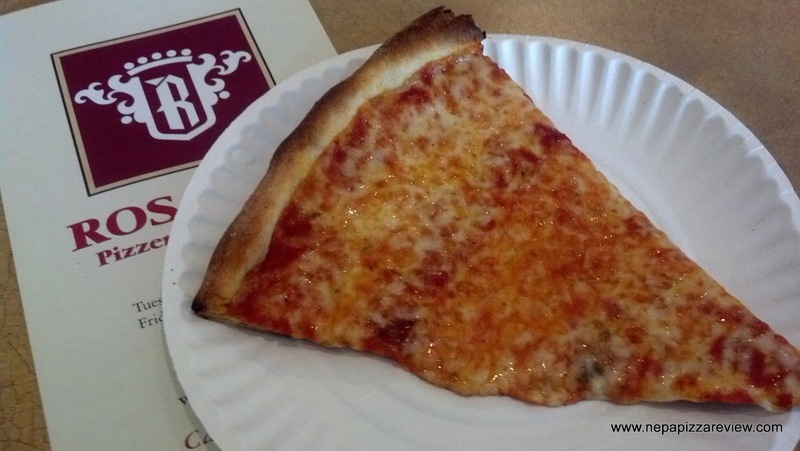 Compared to the Basilico’s slice, which you can check out the review here, I thought the flavors were a bit muted, and the whole slice fell a bit flat. The pizza was still quite good, but not nearly as impressive as the slice I had in Dickson City. Again, these comparison’s may not be fair, as the restaurants are totally unrelated and the recipes could have been changed. The bottom line is that I did enjoy the slice, and it is a great pizza, but my to comparison to the latter may have leaked into this review a bit. Overall, I do recommend Rosario's because they offer great quality gourmet slices and it's a quick and easy meal on the go. 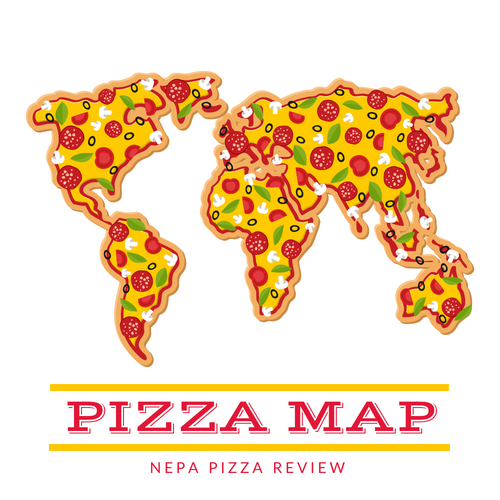 I will say that full neopolitan pies tend to not travel well when you take them to go, so if you are getting it to go, I would recommend one of the gourmet pizzas. The rest of the food is also very good here, so get out and give it a try! Try the Grandma Pie, straight up (tomato, cheese, garlic, oil) and maybe 1/2 with a fav topping (I have had both broccoli and mushroom with good results). Also, try the White Pizza...heavy on three cheeses, olive oil and garlic. It can also be had on the Grandma crust and IMO, the optional spinach makes it even better.